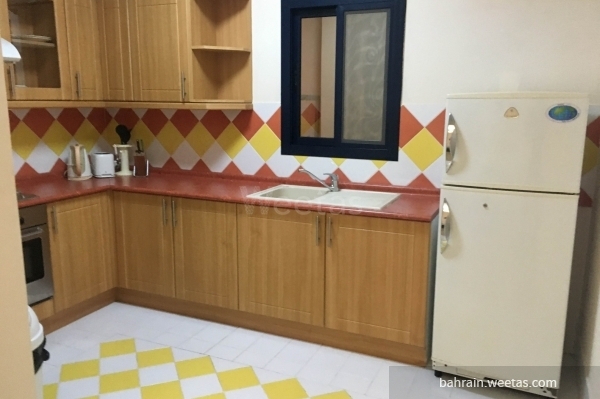 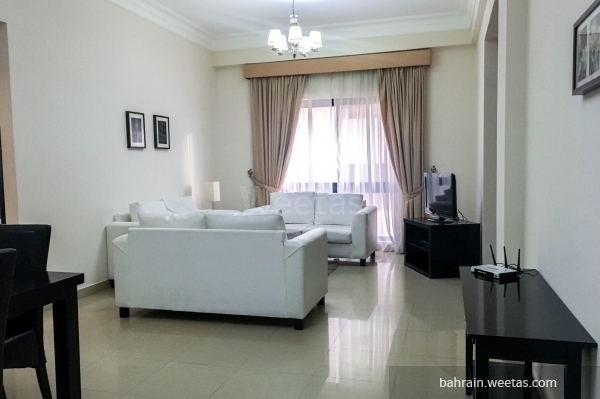 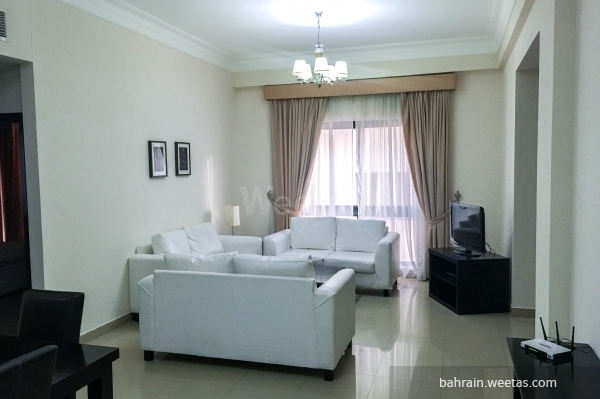 Fancy fully furnished flat for rent in a spectacular location in sanabis. 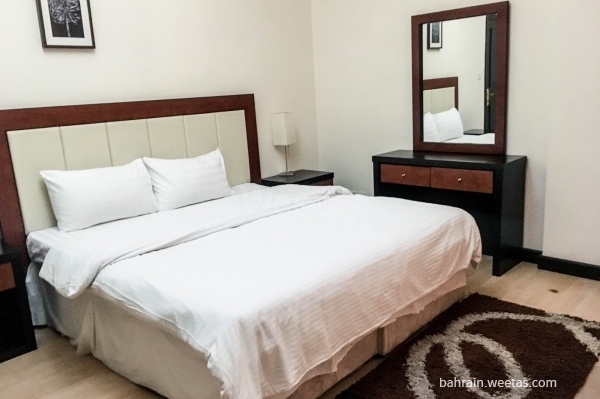 The apartment consists of one bedroom, one bathroom, a fully equipped kitchen and spacious living room with dining table. 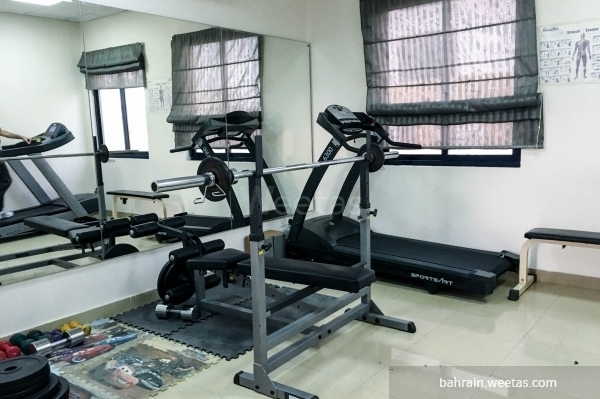 The flat is located in an elegance tower, which provides many amenities such as swimming pool, fitness gym and internet connection. 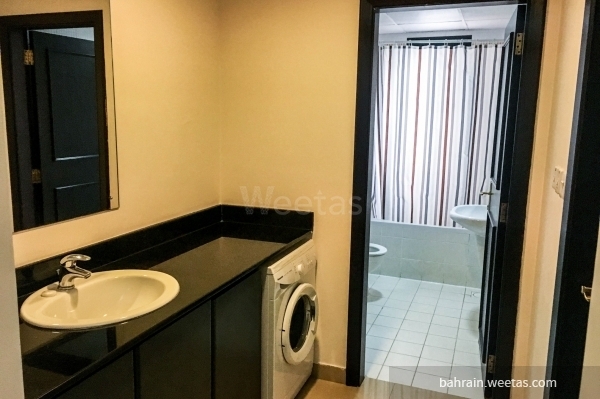 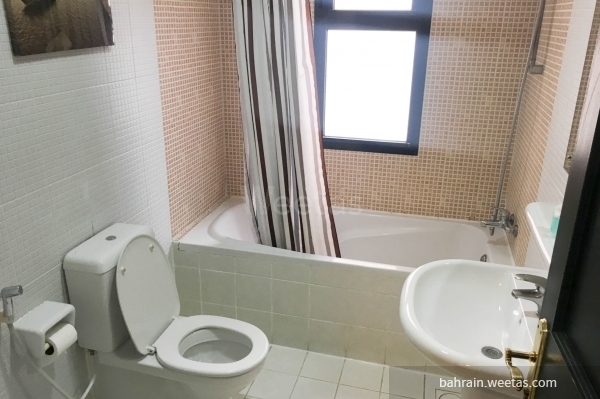 The apartment is offered exclusively by Weetas with rent price 400 BHD.